I love the whole debate scene, and I have listened to a lot of Christian and non-Christian news podcasts, and narrowed down my favorites to Guide: Favorite Podcasts for Christians. Now, I want to venture out into the land of my ideological opponents. Here’s my list so far. Most of these I got from the list at Podcast Alley. Point of Inquiry (Weekly, 30 min) – Explores pseudoscience, alternative medicine, religion, and secularism. Interviews various scientists and thinkers. Great thought provoker. Secular Nation Podcast (Bimonthly, 40 min) – Good content, low noise, essays, often read by various authors. The Thinking Atheist – (Weekly, 60 min | RSS) Another ex-pastor, who, despite his sometimes patronizing and exasperated tone, understands the motives and perspectives of Christians pretty well. Conversations from the Pale Blue Dot (Random schedule and duration) – podcast of one of the few atheist blogs I enjoy, Common Sense Atheism. Focuses on Philosophy of Religion, features, interviews with the BEST in the field, both theist and anti-theist. Unfortunately, Luke may be moving on to other disciplines, but his archive is rich with fantastic interviews. The Critical Thinker (Monthly, 30-60 min, RSS) – A secularist podcast, has neat video and audio on critical thinking. American Freethought (Weekly, 60 min) – Good luck finding the podcast link on their website, but I found it at Podcast Alley. 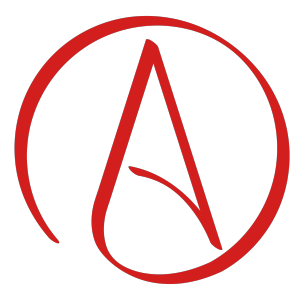 Apologia (Weekly, 60 min) – a friendly forum for both theists and non-theists to come together in search of some common understanding. Rather than a contentious debate format, Apologia provides a setting in which all participants can discuss without confrontation. Atheist News (Biweekly, 60 min, EXPLICIT) – Not sure what to expect, but it does bear the EXPLICIT tag – probably not intellectual fare. However, seems thoughtful and less snarky. Atheist Talk (Bimonthly, 30-60 min) – From Minnesota Atheists, issues driven, interviews. Good content, but poor audio quality (echoey). A Christian and an Atheist (Weekly, 60 min) – friendly dialogue, good natured. The Good Atheist (Weekly, 30 min, EXPLICIT) – definitely has some profanity, thoughtful, shows some healthy skepticism of Dawkins, Hitchens, et al. Kinda fun. The Infidel Guy (Weekly, 60 min) – Has high profile guests. Digital Bits Skeptic (Weekly, 5-15 min) – Short single-subject reading of articles, most original by author. Audio has a bit of an echo to it, not too professional. But, bite size. Skepticality (Bimonthly, 60 min) – The official podcast of Skeptic Magazine. Professional, conversational, but low content/conversation. Not anti-religious. The Skeptics’ Guide to the Universe (Weekly, 80 min) – not snarky, somewhat intelligent and good content, but a little too conversational. Probably for those who like long informational talk shows. Audio has a bit of an echo to it, not too professional. Andy Kaiser here, the guy who reads (and sometimes writes) the Digital Bits Skeptic podcast. Thanks for the review. And yes, others have commented on the reading quality in other forums. Hopefully the sample you listened to was an older one, because I honestly can't think of a recent episode that actually had an echo in it. Either way, thanks for at least checking it out. And if you can get past the production, I'd honestly be interested to know what you think about the actual content. If the podcast isn't acceptable, the full text from all authors is also online at the website. I'm a fan of The Atheist Experience. It's a fine call-in TV show by the Atheist Community of Austin, but many callers have trouble expressing themselves coherently, which does raise the noise end of the content/noise ratio. YouTube has clips of the best calls from the show. For a higher content/noise ratio, the Atheist Community of Austin also has a weekly audio podcast called The Non-Prophets. It's more of a panel show, often starting from stories about atheism and religion in the news that week. The Skeptics' Guide to the Universe is Anti-theist? Wow, thanks for the list. I love seeing believer and non-believers linking to each other. I recently got chastised by another Atheist for linking to an Intelligent Design site. I consider myself a Buddhist Atheist and like to sites I don't buy into 100% but which I feel offer much to the reader. We all, no exceptions, fumble with the truth. I will now be watching this site — looks good. Yeah, I didn't call danielg out on that "anti-theist" smear, but I doubt any of the above deserve such a slander. My bad on the anti-theist label for the skeptics podcast, but I just needed a label for these mostly atheist podcasts, and skeptics are often anti-religionists, though not always. I just couldn't come up with a more general label. Can you?